Our FileMaker hosting environment is second to none. We support the hosting of FileMaker 12, 13 & 14. 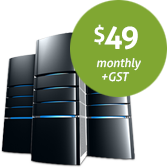 As one of our highly valued hosting clients, you’ll be leveraging the infrastructure we already have in place and taking advantage of the benefits of ‘Cloud Computing’. 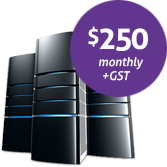 Storage & bandwidth . . . .
No Setup Fee . .
Server Features . . . .
˚ Facility to add additional FileMaker files for an extra $25.00 +gst per file, per month. ◬ Actual bandwidth largely depends on the ISP services and the broadband you subscribe to. 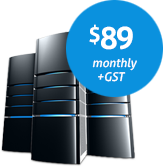 * + GST. All prices in AUD Dollars.